The UAE, represented by Dr Mohammed Al Ahbabi, Director-General of the UAE Space Agency, has been elected Vice-President of the International Astronautical Federation, IAF, following a vote during the 2018 International Astronautical Congress, IAC, which is being hosted in Bremen, Germany. Founded in 1951, the Paris-based IAF is a non-governmental organisation aiming to promote worldwide scientific exchange and international cooperation. Around 4,500 delegates, including policy, business and science leaders, from 90 countries gathered at the Bremen Exhibition Centre between Monday (October 1) and Friday, for the 69th space congress, which is also the world's largest, under the theme "IAC 2018 - Involving Everyone". 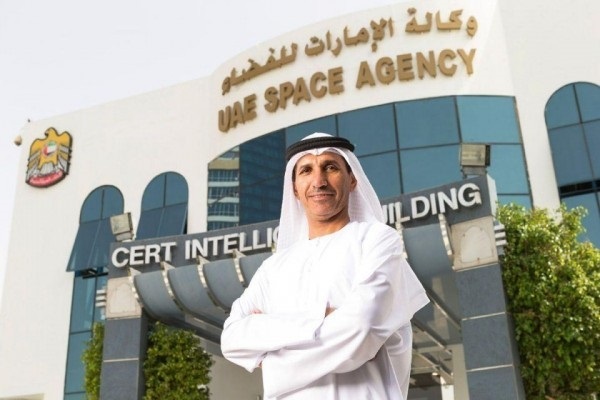 Commenting on the global feat, Dr Al Ahbabi, said that the UAE winning the prestigious global position reflects its prominent standing in the national space sector, the large scale of its space programmes and projects and the positive outlook of the sector in terms of growth, human resources development and capacity building. ''The IAF achievement is the second after the UAE obtained membership of the Arab Union for Astronomy and Space Sciences, which signalled the success of national strategic space plans to leverage the UAE status in the vital sector through partnerships and agreements with world leading space actors,'' he noted. Washington will be hosting the IAC next year while the UAE's Mohammed bin Rashid Space Centre will convene the 2020 event. The IAF is an international space advocacy organisation based in Paris and founded in 1951 as a non-governmental organisation to establish a dialogue between scientists around the world and to lay the information for international space cooperation.